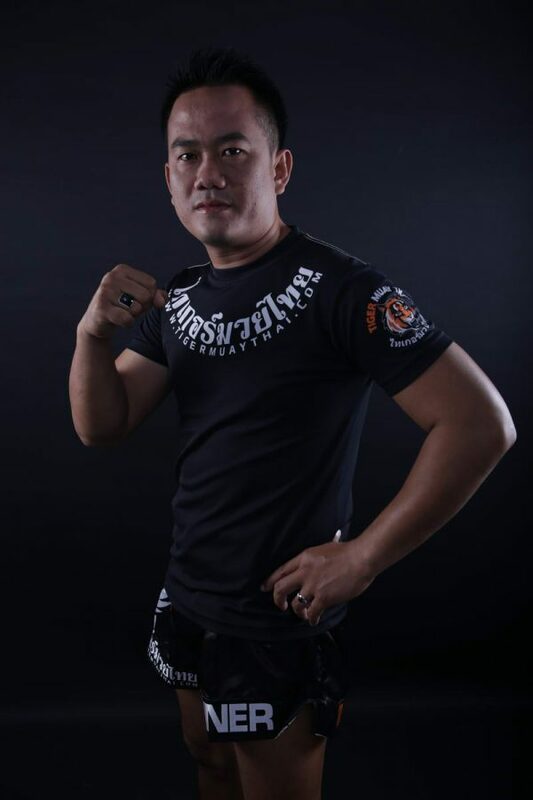 Kru Phet is the head trainer of Tiger Muay Thai, having been at the gym since it first opened in 2003. Phet first started training Muay Thai under Sornnarai Singsamkrong at the age of 13 in his hometown of Sisaket, north-eastern Thailand. Phet had 70 fights and won 4 gold medals in national amateur Muay Thai tournaments before retiring early to pursue an education. He went to university and achieved degrees in Business and English before moving to Phuket where he met William McNamara and became the original trainer of Tiger Muay Thai. Now the head trainer of Tiger Muay Thai, Phet has the responsibility of overseeing all the trainers but still regularly joins in teaching and sharing his knowledge of Muay Thai.